Lavender is great way to bring in the first day of Spring! Lavender or Lavandula is a beautiful aromatic herb, that attracts bees, butterflies, and birds into your garden for the fresh nectar. There are hundreds of lavender types, but their signature look is a long stem, straight grey leaves topped with purple flower clusters. Planting and growing lavender on your own improves your mental health on some aspects, gets you outside on nice days to water, saves you money by skipping all the steps leading up to your store-bought versions, reduces your environmental footprint by saving the waste involved, as well it simply helps to build self-pride and confidence from growing the lavender yourself! If you're a beginner or would just like grow your own lavender plant, I would personally buy an organic plant as I have found it hard to germinate lavender seeds (not saying it cannot be done). Please remember that you need to place the plant in bright sunlight with well-drained soil as lavender does not like to sit in water. To water properly, only water the plant when the soil is dry and ensure your planter is able to drain the water you fill it with. It's good to water the plant until the water begins to drain through the bottom to your plate below (yes, do not forget to put a plate below the planter if you have holes in it!). When harvesting lavender, I suggest plucking the flower and leaves off from the stem before the flower has fully opened. If you would like to dry lavender to store it and maybe use it for another application, I would tie a string around the bottom of the stem (as seen here in the photo above) and hang upside down in a dark, well-ventilated area. Growing lavender isn't the only amazing thing you can do! If you didn't know, drinking lavender in a tea is known to eliminate stubborn or shaken nerves (after moments of high stress), relieve tension and pain, enhance blood circulation, as well decrease skin and inflammation issues. If you have questions, please feel free to ask me about it! Oh, and did I mention the aroma is out of this world? 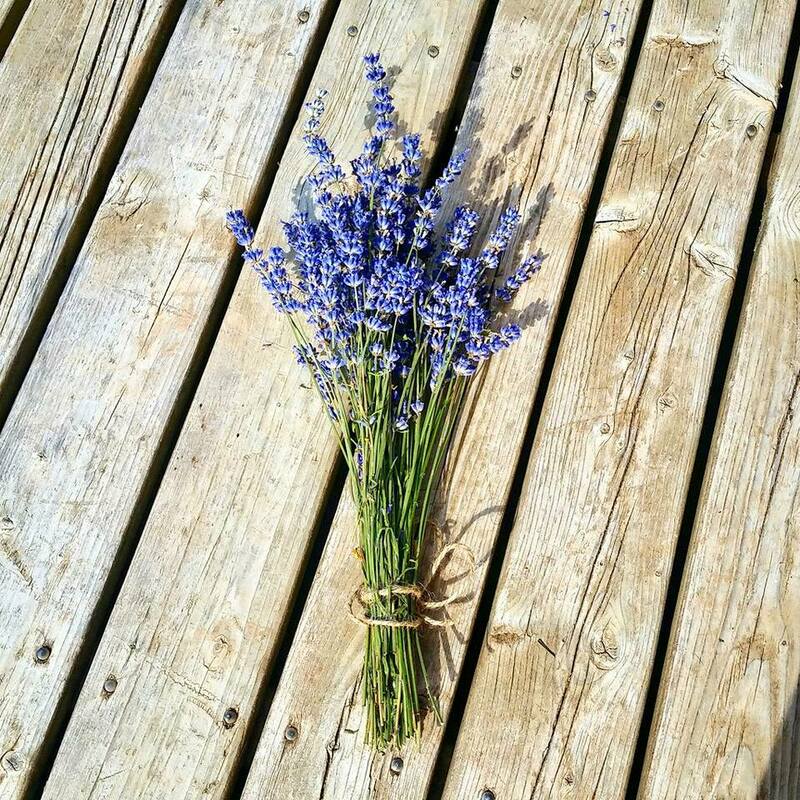 If you're not familiar, just the smell of lavender can decrease depression, emotional stress, and anxiety! How do you use your lavender?? Aside from having an amazing cup of tea or planting lavender, you can put Teageek'ery's 'Serentea' blend in the bathtub with hot water & Epsom salts to enjoy a very relaxing experience (or use your fresh lavender you've grown as well some chamomile for a similarly blissful bath time experience! ).